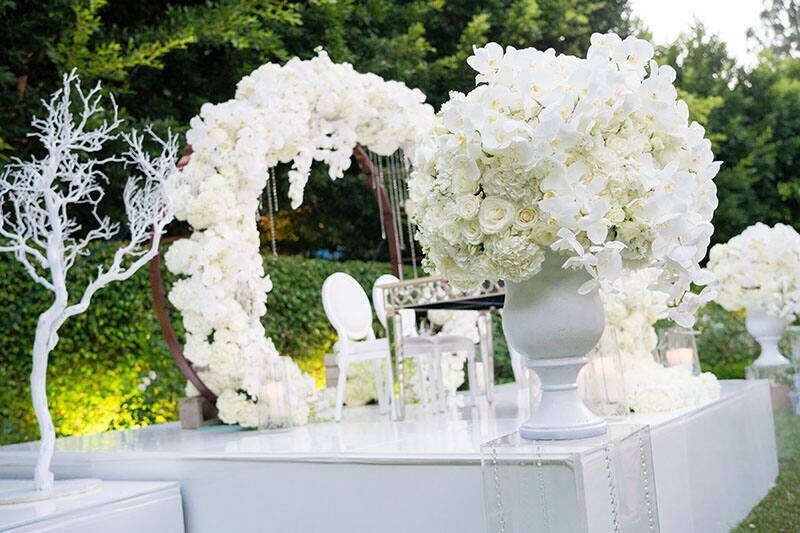 Today we are wrapping up our Disney Princess inspired looks with none other than the Queen herself, Elsa. 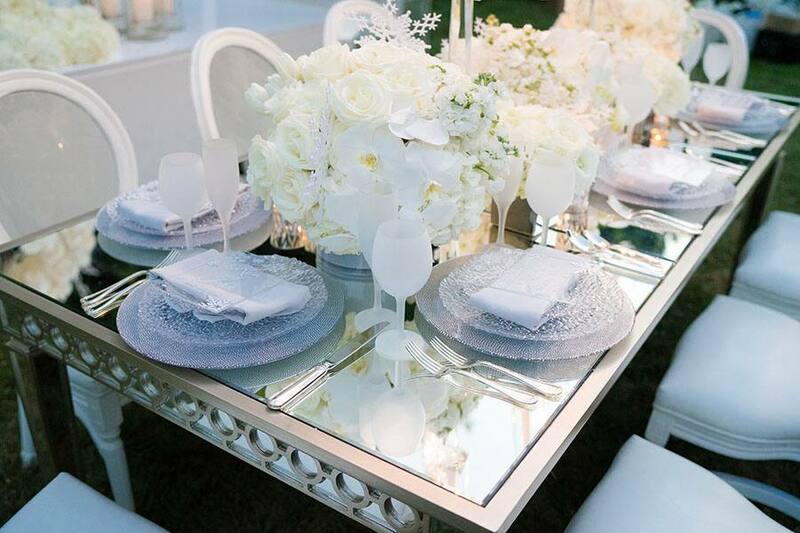 Textures of frosted glass and mirrored table accents transport you to the land of Arendelle. 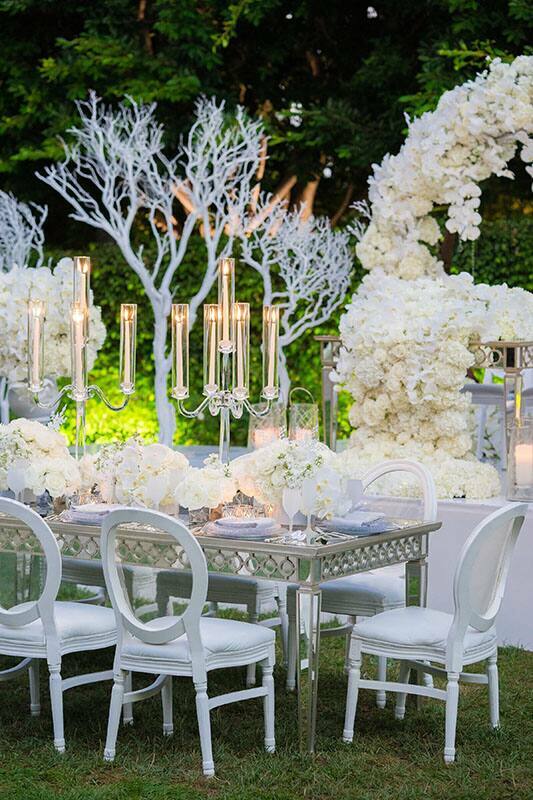 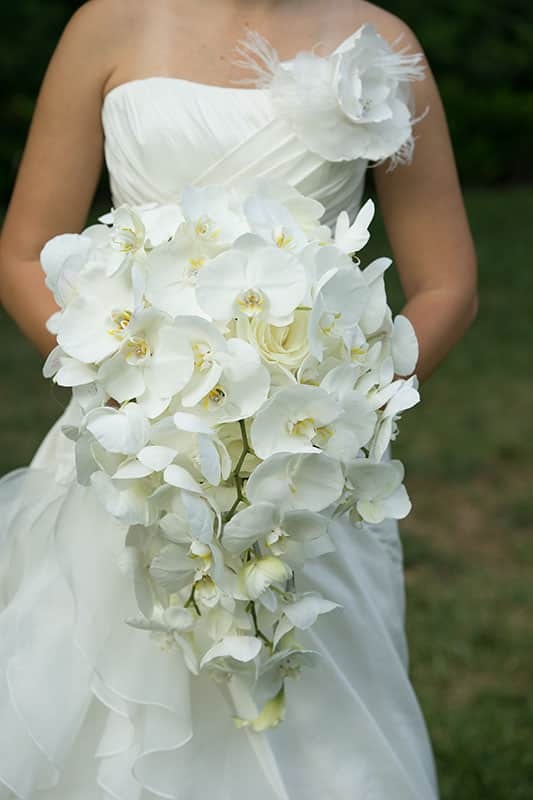 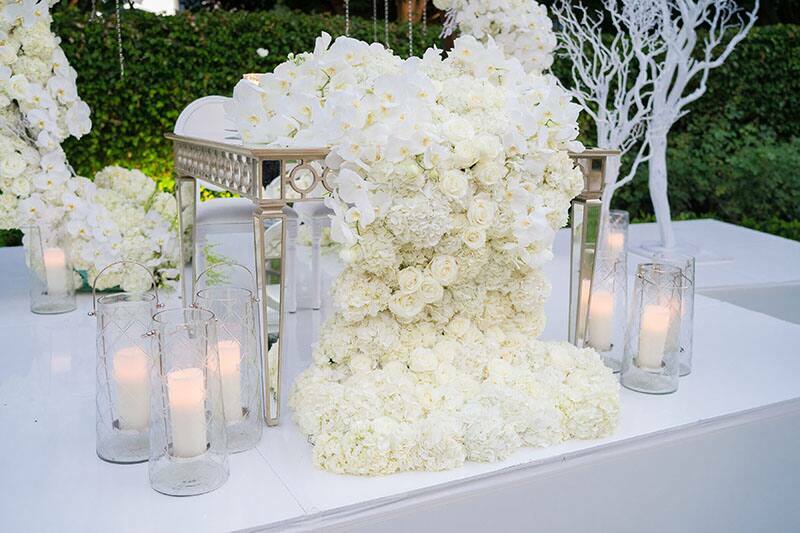 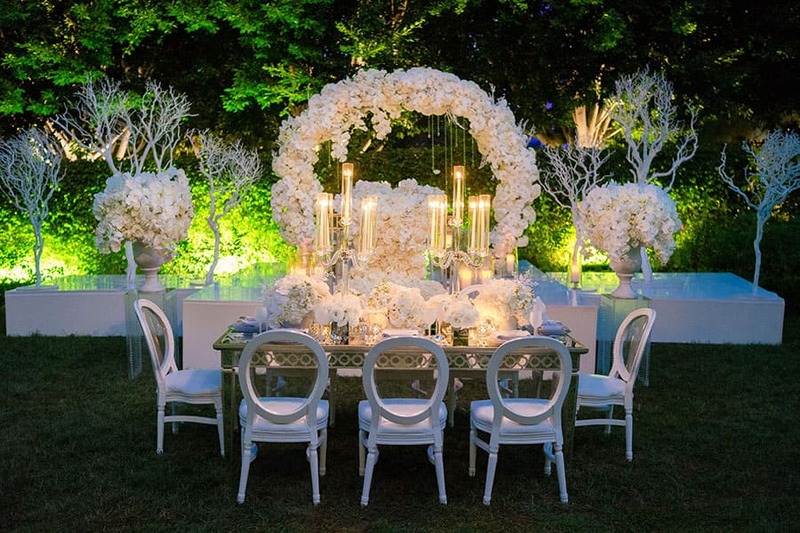 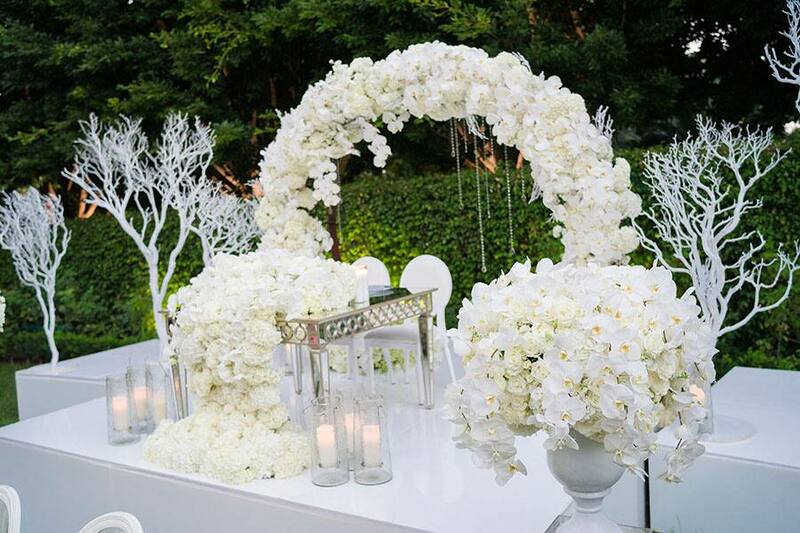 An avalanche of white orchids and roses adorn the tables bringing warmth to this rather Frozen space. 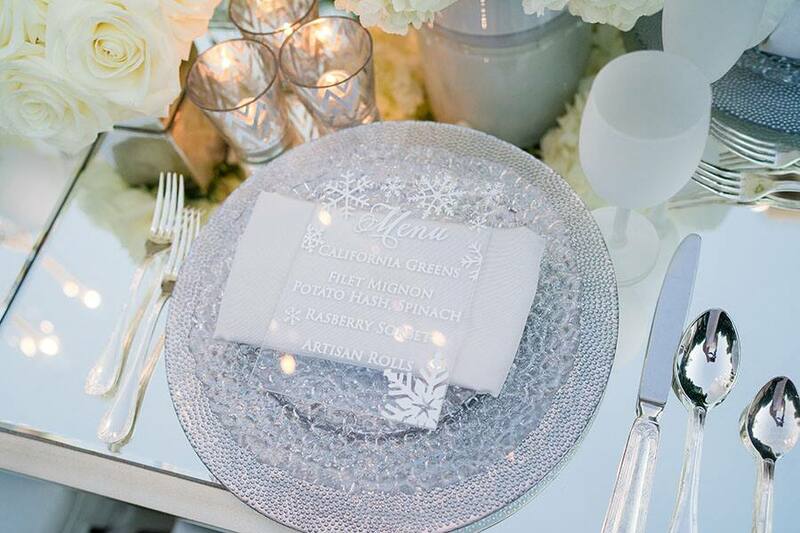 While subtle touches of snowflakes add a bit of charm to the menus.